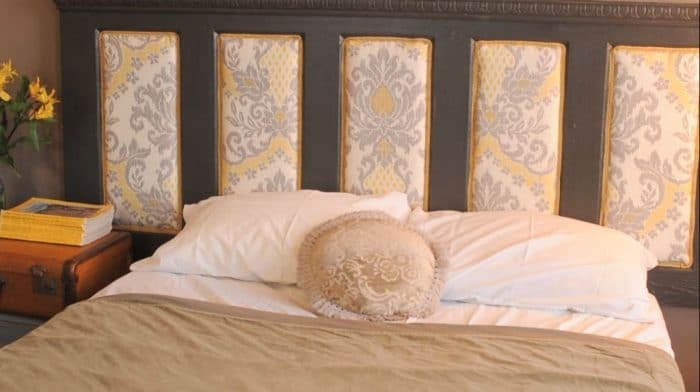 I am completely in love with this headboard, this is going to be my next project, for sure. I’m off to craigslist to find myself a cool 6 panel door, and I already have some fabric to use (very similar to the one shown here). The tutorial is so easy – this is genius!